A long awaited high county adventure finally happened. Ever since I read Chester Marler’s book, East of the Divide, I hoped to personally see the sights that he recounted in his trips with Burr Singleton in the Chelan Mountains. Now it was happening and, for our opening, day we dropped my car at the end of the North Fork of the Entiat; then Chester and I came back to Silver Falls to load everyone into one car. We drove up the Shady Pass Road until we reached Big Hill at 6,800’. 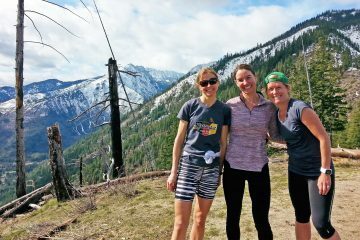 Our original plan was to traverse trails to Grouse Pass near Cardinal Peak and return to our second car along the trail descending the North Fork of the Entiat River. By the end of the first day, however, Chester recommended we reduce our distances due to the huge amount of snow on the trails. Right away we were impressed with the wonderful vistas of the mountains in all directions. It would take several sentences to list the peaks lining the horizon, but the most dominant were Rainier, Stuart, and Glacier. The first night was in a meadow below Graham Mountain. The second day we dropped our back packs and wandered up to the summit of Graham (7245’) and had special views down on Lake Chelan and, to the north, over the innumerable incisors of the Sawtooth range. We spent the second night in a meadow a little east of the Pyramid Mountain Trail. Water was plentiful — many brooks rippled down the hillsides to merge into roaring streams. On Day 3 Chester, Ann, and Mike decided to advance to the junction of the trails coming from Pyramid Mountain, Pugh Ridge, and South Pyramid Creek (SPC). Lloyd and I had our hearts set on reaching the top of Pyramid Mountain (8,200’) which was about 1,700’ above our second camp and 3.5 miles away so, once we reached the trail junction, we dropped our packs and proceeded towards the summit of Pyramid. As we headed up, the amount of snow greatly increased. Lloyd took the lead and created safe steps for me to follow. We entered a large basin covered with snow and could not find the trail! Chester had advised us that if we lost the trail we should climb directly up the slope—eventually we would eventually re-intersect the route. We followed this advice and, although it was a steep climb, we did intersect the main “road” a few hundred feet below the summit. It was great to sit down and rest our bones and gaze at the panorama of peaks near and far. Lunch tasted good and as we looked down Lake Chelan towards 25 Mile Creek we saw a flotilla of motor boats coming up lake in an orderly formation. As they passed under Pyramid we could hear the roar of the engines and observed that each one stopped across the lake at Canoe Creek. We surmised that this must have been a special regatta. Lloyd wrote some comments in a registry log book and around noon we headed down. Camp 3 was beside South Pyramid Creek. 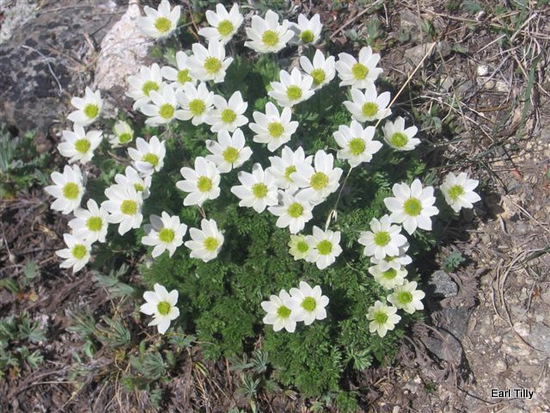 During the day Mike had done extensive photography while Chester and Ann hiked to Grouse Pass and Chester climbed Square Top Mountain. In addition to enjoying the beauty of the peaks, streams, rocks, and fauna, the opportunity to have quality visits with our hiking partners was a special part of the adventure. 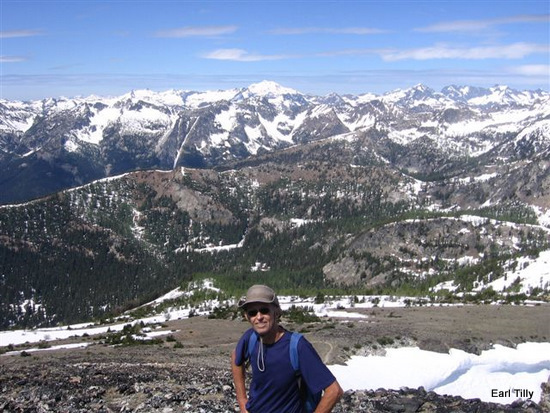 Lloyd and I had not met Mike before, but found this retired anesthesiologist, who loves hiking, biking, photography, and cultural activities, to be a very stimulating individual. 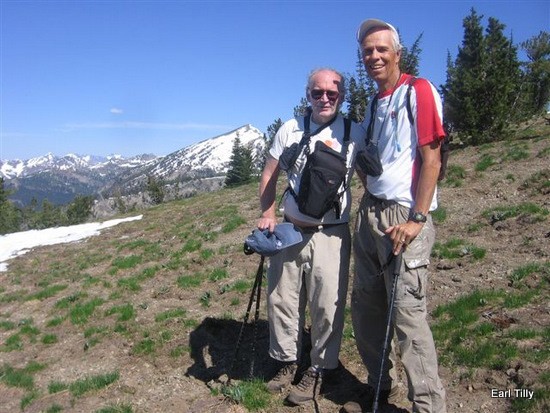 Mike and Chester went to Wenatchee schools together and have a lifetime of mountaineering experiences. It was and it was fun to hear them reminisce and tell stories. We also talked about the politics of the national forests and were unanimous in our feeling that the USFS has to do too much paperwork and not enough groundwork. Practical common sense is smothered by regulations that prohibit intelligent managers from carrying out the real mission of the agency. I wish that the current federal administration would use stimulus/unemployment compensation money to reenact the Civilian Conservation Corp to assist our country’s natural resource agencies to become better stewards of the land. 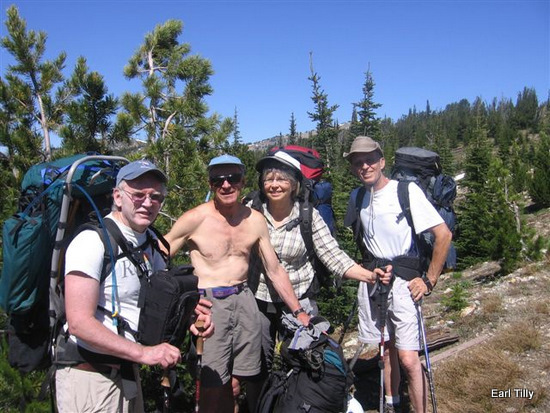 For the past 35 years, I have been fortunate to join Chester and Ann on many hiking adventures. They developed a special interest in the mountains in their youth and are both highly skilled in exploring remote places where only a few people have traveled. Lloyd Berry is another outstanding mountain man that I feel very safe with. He has visited every named lake in Chelan County and loves being outdoors. During our stays in Palm Desert I have been privileged to go on weekly day hikes with Lloyd and his friend Roger McMillan. On Day 4, Chester advised us that there were to be four crossings of South Pyramid Creek before we reached the car. The first two crossings could be avoided if we were willing to bushwhack for half a mile. The stream was high and cold and we bushwhacked. Finally at crossing 3 we had the experience of engaging the cold, glacier waters. First Chester crossed with his 120-foot climbing rope and secured it to a tree. Those who followed all wrapped a rope sling around their waists and attached to the main rope with a carabiner. Then we carefully side stepped across 30 feet of roaring water. Thanks to the preparation, we all made it across without mishap. Our last crossing was near the end of the trail and there was a new bridge. Hooray! As I have composed these thoughts, I rejoice in the friends who made it possible for me to go on this great adventure. I hope that my grand children will have the same opportunities to enjoy these wonderful natural resources. Access. Start of Trip. From Highway 97A near Entiat, drive the Entiat River Road roughly 29 miles. About a mile after Lake Creek Campground (and a mile before Silver Falls) turn right on Forest Road 5900 and follow this about 8 miles to Shady Pass. 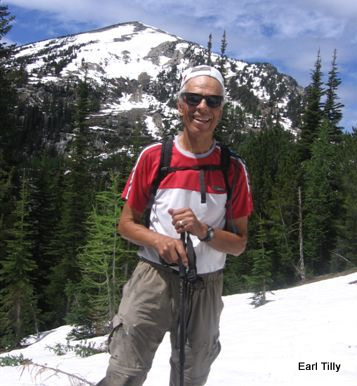 At Shady Pass, turn left on Spur 112 and drive about 2 miles to the trailhead for Trail 1443. End of Trip. 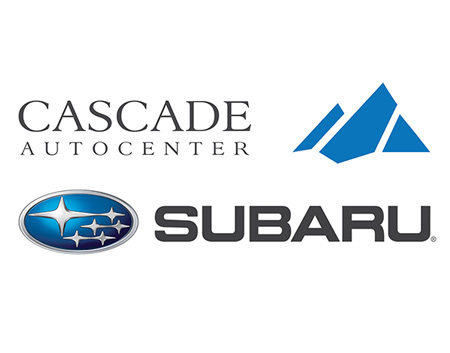 Leave the second vehicle for the end of the North Fork Road by driving about 2.75 miles past Silver Falls and, shortly before the North Fork Campground, turn right on Forest Road 5606. Drive about 4 miles uphill to the trailhead for Trail 1437. Maps. Map 1 below shows the start and end of this trip. 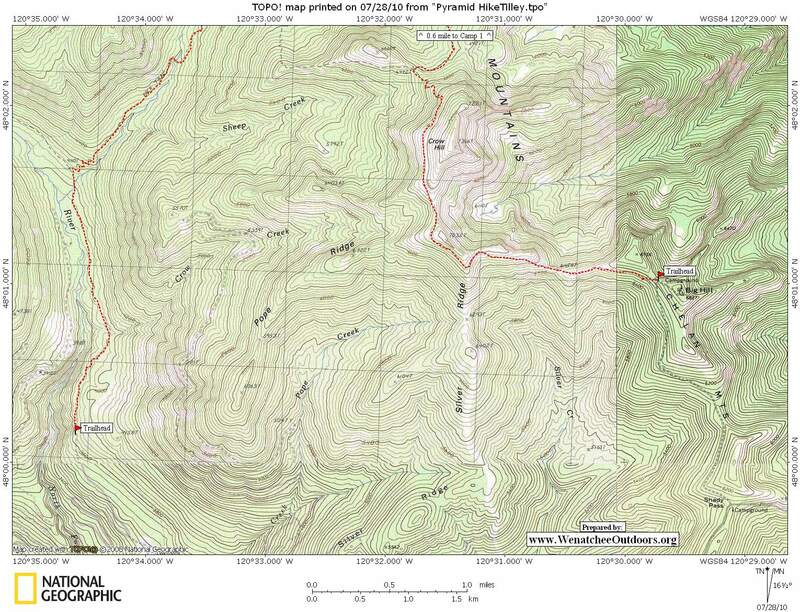 Map 2 shows middle of the trip and routes up Pyramid and Squaretop mountains. Snow. Some years this route would be snow-free by mid-July but in 2010 nearly two thirds of the route had snow in mid-July. 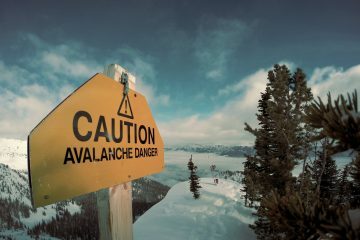 The route follows trails and would require no special climbing or snow gear once the trails melt off. In our circumstances when we had a lot of snow to contend with, good boots for walking on snow and gaiter were important. Ski poles and even lightweight snowshoes would be useful if you thought much of the route would be snow-covered. 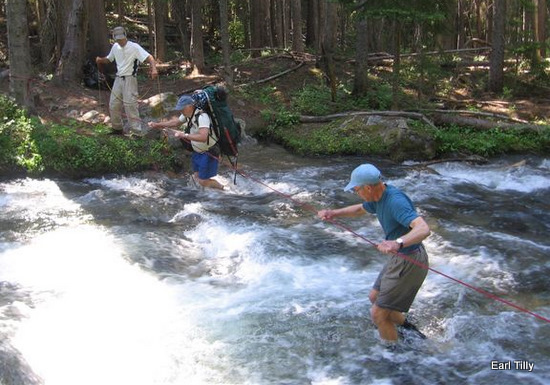 In early season when the creeks are raging with snow melt, consider some safety measures for stream crossings. 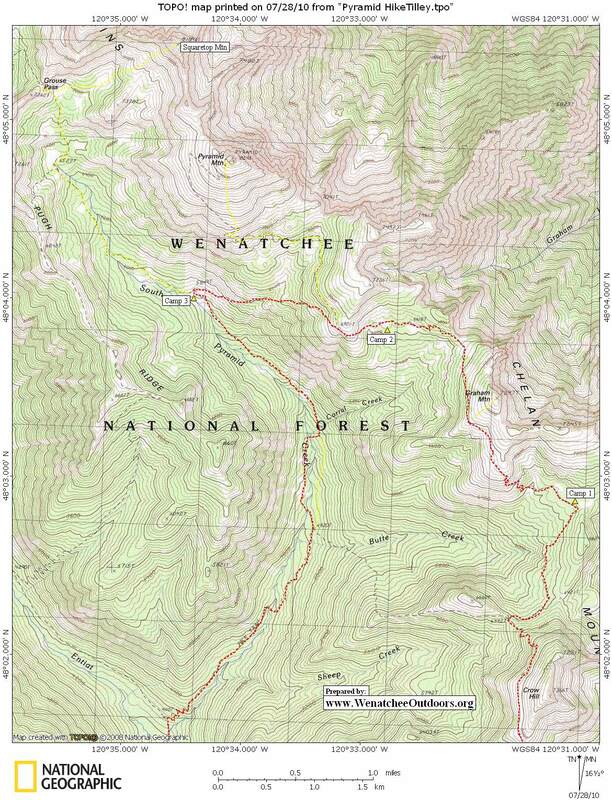 Trip Description: We started on trail 1443 and followed this roughly 8 miles past Crow Hill and Graham Mountain to the junction with the trail up Pyramid Mountain. Then we used Trail 1433 to descend a little more than a mile to South Pyramid Creek. Next we used Trail 1449 to descend South Pyramid Creek about 4 miles to the North Fork of the Entiat River and then followed Trail 1437 along the North Fork to return a few miles to the car. Along the way we walked up a number of peaks – some of the possibilities that are nearby as you do this circuit include Crow Hill, Graham Mountain, Pyramid Mountain, Squaretop Mountain, Skidgravel Point (the 8, 339’ peak northwest of Grouse Pass), and Cardinal Peak (also northwest of Grouse Pass).